Highly desirable Wellington model home, one owner home. This floor plan has the master bedroom suite and the 2nd bedroom mini suite with full bath. There is a third den area that could work as an office or addition sleeping area. Two car garage with golf cart garage. 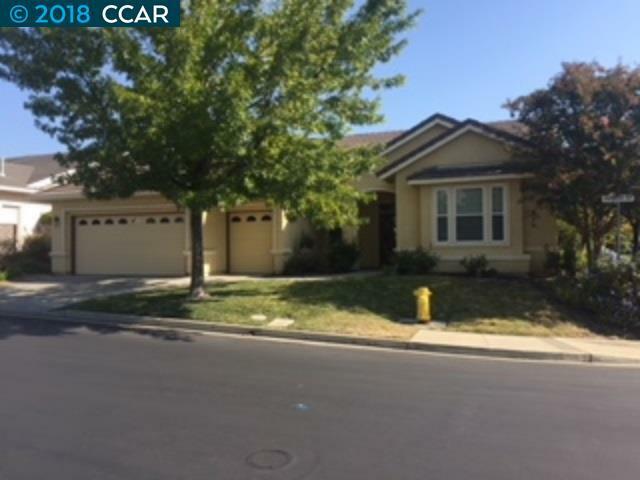 Corner lot with fully landscaped private yard, featuring California Room covered patio option. Security gated community with golf course, pool, clubhouse, tennis, gym, bocce ball, and many other activities. Brentwood is located close to the California Delta. Fishing, skiing, kayaking and boating are just minutes away.